Your home is your sanctuary. Every time you pull your car into the driveway, you look at it and wonder what you need to do to keep its current level of perfection. The first thing you are bound to notice is your lawn. It should feel like your green carpet, leading you up to your castle. The grass needs to be lush and green, and make you wish that you could be barefoot all the time. In our quick guide, learn how you can improve the quality of your turf to make your lawn look great and get that feeling of excellence you have been searching for. For any type of plant to grow, it will require to soil to contain specific nutrients. Fertilizers will add everything the soil needs to be more hospitable to new growth. For even greater improvement in your lawn, use a natural fertilizer rather than a synthetic. Natural types are healthier for you, your family and the environment. They have also been shown to provide greener lawns than many synthetic types. Give your lawn the nutrition it craves with a good, natural fertilizer. The fact that your lawn needs water to grow is common sense to most people. What is not well known is exactly how you should go about adding moisture. The method of watering that works best is watering heavily, but infrequently. By fully saturating the grass and soil, the water will reach deep into the ground and hydrate the whole root system. Leave about a week in between waterings to make sure you never allow the roots to experience any rot. Making the roots happy is the key to a healthy lawn. One blade of grass is about the same length as its root. When you decide your lawn needs a trim, make sure you keep the grass between two and three inches. This is an ideal length to ensure green grass and healthy roots. All those nutrients you added to the soil to get your lawn healthy and green are now in the blades of grass themselves. Every time you mow your lawn, you should make sure to leave the clippings where they are. They contain everything your grass needs to stay looking perfect so reusing them just makes sense. In addition to helping your lawn, this will also make maintenance that much easier when you no longer have to rake up all those clippings. In addition to water and proper nutrition, your lawn also needs to breathe. Aeration is essential to the care of your grass and soil. With extensive use and weather, topsoil tends to get packed down and does not leave room for growth. To make sure your lawn can thrive, poke three-inch holes all around your property. Making sure you keep the soil loose and airy will improve the overall quality of your lawn. 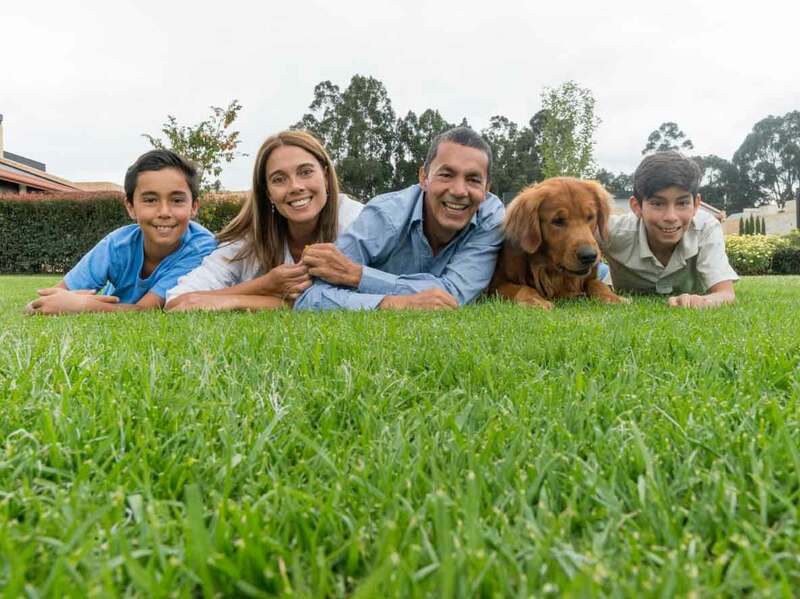 Lawn care can be a big job, but you will always be much happier for it. Every time you step out onto your beautifully manicured lawn all your hard work will be worth it. To keep that feeling going even if your busy schedule gets in the way, there are plenty of resources you can look into for some extra help. It is never too late to improve your home. All you need to do is go green.